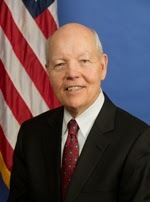 The Commissioner of Internal Revenue, John Koskinen , put the international tax bar in suspense when he announced in a major speech on June 3, 2014, that very shortly, the IRS is considering publishing something which is supposed make it possible for millions of Americans abroad to start sleeping at night. In a major address before a hall filled with big shots connected to the Organization for Economic Cooperation and Development, he declared the recent offshore voluntary disclosure programs a success, and devoted three juicy paragraphs to the need for “program modifications” to allow “U.S. citizens who have resided abroad for many years….” to have a chance to “come into compliance that doesn’t involve the type of penalties” the IRS would like to impose on bona fide U.S.-resident tax cheats. 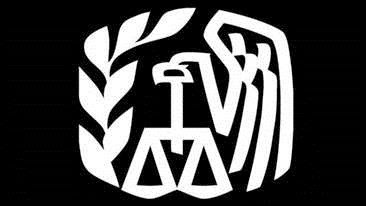 Tax practitioners generally give the IRS’s OVDI program a barely passing grade if only because the Service has put their best people on the front lines who are uniformly solid professionals. However, the long waiting time to get an agent assigned to a client's case and the “one-size fits all” approach is simply bad government. What about the torturous “opt out” scenario which requires people to recreate their entire economic lives for the past eight years first, before they can even get to talk to an Appeals Officer? Where is Appeals anyway in this whole process and whatever happened to the Mitigation Provisions in the Internal Revenue Manual which in a nut shell advise IRS front line troops handling FBAR cases to use good judgment? For the growing group of vocal and very able advocates who actually believe there is a chance to get Washington to start thinking about the injustice of citizenship based taxation, the speech should serve as a reality check. The Commish made it clear that not even a mean-spirited Congress is going to stop the top level international career bureaucrats on both sides of the Atlantic and Pacific from moving toward a “one world” international banking and financial database. He spoke of the spectacular success of the new Global Intermediary Identification Number and Foreign Financial Institutions registration system. He said, “This system allows financial intermediaries around the world to establish their FATCA-compliant status…” to prevent the 30% FATCA withholding sledge hammer from tripping anyone up. We now have the new Commissioner’s attention: For the Commissioner of the Internal Revenue Service to announce that relief was expected to come “in the very near future” and the fact that he specifically acknowledged the concerns of Americans abroad, is certainly good news. The IRS has been bloodied by the Tea Pot tax exemption mess, and the fact that it is bearing most of the blame because our tax code continues to be unmanageable and unfathomable even by the very best tax professionals. The country can ill-afford yet another blow to the credibility of an agency which annually collects over $2.4 trillion each tax year from around 234 million tax returns. Very few Washington insiders believe there is any hope at all of repealing FATCA and the new Commissioner made it clear that moving it forward is the cornerstone of his goal of achieving “international tax transparency.” We wish him luck in a thankless job and we realize that he is not responsible for the current state of affairs. His June 3rd speech made it clear that he has had enough time to learn the new job and he has boldly outlined his priorities. Americans abroad have not given up hope that the new guy might show some bold leadership and a common sense approach to good tax administration. As the Commissioner has requested, “We expect we will have much more to say on these program enhancements in the very near future so stay tuned.” We are all waiting patiently and hoping for the best.